1. You'll need a large, high sided basin (I'm using a tinfoil baking tray), a can of inexpensive shaving foam, water based inks and LOTS of things to clean up with! 2. Add a generous layer of shaving foam to the basin. Use a knife or paddlepop stick to get it relatively even and level. 3. Choose some water based inks that coordinate nicely - I used Tumbled Glass, Shabby Shutters and Pine Needles distress ink refills. 4. Use a toothpick or skewer to drag the colour around. You can drag random patterns like I did, or go for something a little more symmetrical. 5. Lay your card stock directly into the shaving foam to pick up the colours. 6. Use a paper towel to wipe away the excess shaving foam and you have a cool marbled piece of card stock. You can keep making impressions for as long as there's colour in the basin. 7. Now have a go with some other colours and patterns. Photos and written instructions are copyright Beccy Muir. 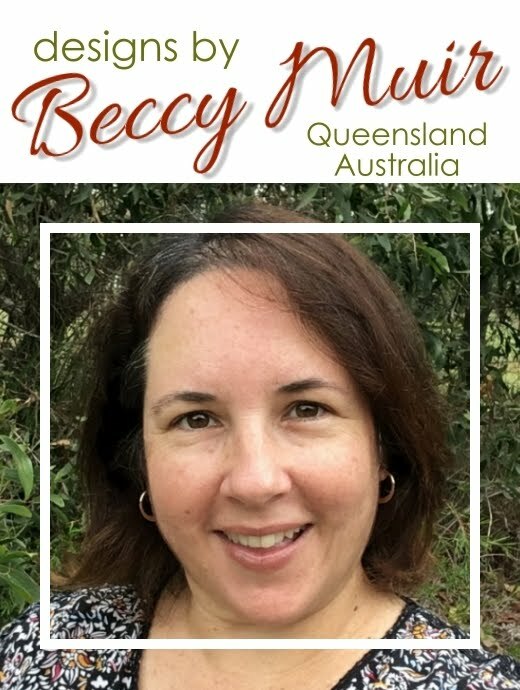 Wonderful Beccy! Love it! Thank you so much!